Sean Jahanian serves as COO of First Wall Street Capital Corp and working with clients across private and government landscape. He is a results-oriented, mission-driven, roll-up-the-sleeves executive with more than twenty years of experience and a proven track record of leading innovative, transformative change in the public and private sectors; leading organizations and teams; creating mutually-beneficial relationships with diverse domestic and international senior executives. Sean served as CEO of a consulting Firm in Washington DC with focus on Energy and Middle East and Africa for almost five years. 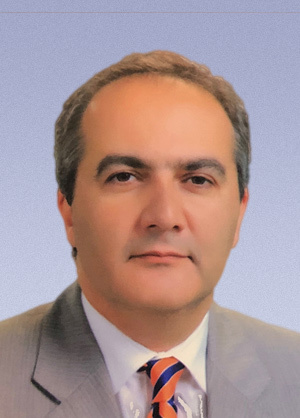 He served as a key member of the negotiation team and senior leadership team responsible for strategy and operations of the middle east affairs, and he helped lead transformation of the organization to be more relevant and nimble, developing new business models resulting in better results and impact. He built extensive relationships and innovative partnership across multiple ministries, and with business leaders and local officials. Sean was lead negotiator and for a consortium of two Chinese SOE’s (State owned Enterprises) and Ministry of OIL in Federal Republic of Iraq for Nasirya Oil Field. He also led numerous economic development and business growth initiatives at the local and international levels. As part of Management team designated By KPC (Kuwait Petroleum Company) and its strategy to boost production at various fields, in Joint venture with Hemoco Petroleum in Indonesia (Hemoco) Sean planned and managed to start production from two oil fields with an initial capacity of 20,000 barrels of oil per day by mid-2003. Sean earned his BS in Geology. He enjoys spending time with his family, running, swimming, and exploring the great outdoors.